PARIS (AFP) - France is to award US filmmaker David Lynch with the Legion of Honour -- its top civilian honour -- and induct British band The Police into the Order of Arts and Letters, officials said here Saturday. Lynch, the man behind Elephant Man, Mulholland Drive and the cult television show Twin Peaks, will become an officer of the legion in a ceremony Monday, said presidential palace spokesman David Martinon. President Nicolas Sarkozy will "pay homage to the immense talent of this great creator and filmmaker, but also to the artist who is accomplished in several disciplines", Martinon said in a statement. 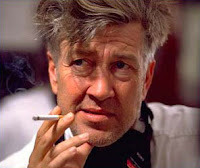 "The president will recall the demanding approach of David Lynch, a creator who changes not only the style and form of filmmaking but also the cinematic genre itself," he said.